The MBTA is committed to improving workplace safety. In order to provide guidance and instruction for establishing the minimum requirements for Personal Protective Equipment (PPE), the MBTA issued SB18-001: Personal Protective Equipment Safety Bulletin, effective April 9, 2018. Usage of PPE in all MBTA work areas shall conform to federal OSHA safety standards, the General Duty Clause of the OSH Act of 1970, industry safety standards, and best practices, as applicable. 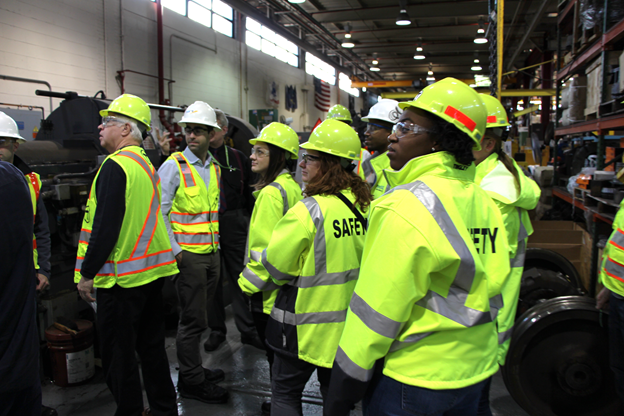 The safety bulletin sets forth the expectations, requirements, accountabilities, and safety performance elements of the MBTA's interim PPE policy for the proper selection, use, and care of PPE to help protect employees, contractors, vendors, interns, visitors, guests, invitees, and MBTA law enforcement.